Looking for Disney boy dog names? You must be looking for Disney boy dog names because you are about to welcome a lovely new dog into your home! That is very exciting, congratulations! Now of course this beautiful new furry friends deserves a lovely name. We can help! On 123Tinki.com we have created lots of things to help you. First of all our over 40.000 dog names big database. This database is so big, it must contain a few names that you like. Now of course you would like to know what these names are. That is where our dog name generator comes in handy. This generator is able to give you a personalized list of dog names with names from our database and it so easy to use. 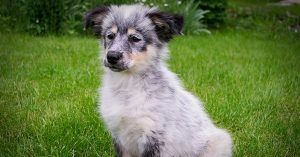 Besides this generator and database we would also like to give you a few tips on choosing the right name for your dog. As the name suggests, our dog name generator is able to generate dog names. This is done with the use of your personal preferences. After filling in a few details the generator will let you inside our database. When you are in there you will find a panel with filters on the side. These filters help to let the generator know what you prefer. For example, if you want to generate all the male Disney dog names you can select ‘male’ under gender and ‘Disney’ under theme. Now the generator will show you all the Disney male dog names. This way you can find anything you like. For example French dog names, dog names starting with C, cute puppy names or even something like Mexican food dog names! When it comes to giving dogs names, we go a long way back. One of the first examples of a dog name comes from the Etruscans in Ancient Egypt. George Reisner led the Harvard-Boston experience in Egypt in 1935. They stumbled upon an inscription in the great cemetery west of the Pyramid of Cheops. This inscription indicated the burial of a dog named Abuwtiyuw. We know, a name you might not so easily give to your dog. The remarkable thing was that in that time, the time Abuwtiyuw lived, only noblemen and kings were buried with honors. It shows that the Egyptian King worshipped Abuwtiyuw so much that he gave him his grave. A beautiful example of the growing relationship between man and dog. Of course there are more famous dogs through history. Some are famous tv characters, others actual famous dogs. Or some dogs were famous because their owner was. Either way, one of the following names could be the name for your new dog! And if you are still into Disney inspired dog names, a few those will be in here as well. A good example of a famous tv dog is of course Lassie! 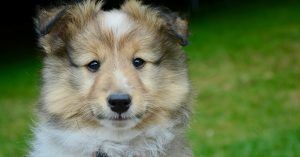 Lassie is a Collie that goes on a miles long journey to be reunited with her loving family. This is of course a film that later turned into a tv series as well. Although the story is about a female dog, all the actors used as Lassie were actually male Collies! This was because male Collies have a fuller, longer coat which looked better on screen. One very famous example of a Disney character dog names male is of course Pluto. The funny think about Pluto is that his owner seems to be a dog as well, except Pluto cannot talk while his owner can. Something strange but wonderful about cartoons! This famous sled dog helped to transfer medicine. This mission he went on was actually really amazing, in a record time of 5 days 20 men and 150 sled dogs transported the cure for Diphtheria from Nenana to Nome. This prevented an outbreak from the disease. Later, a movie was made about Balto. Giving your dog a name is really meaningful and also really important. Whether you dog give your dog one of the cartoon dog names from Disney or you make up something new yourself, there are a few important things you ought to remember. One of these things is the length and sound of the name. When it comes to dogs, there name does not mean as much to them as it does to us. We pick a name with care and love. Dogs simply see it as a command. Of course your dog can feel what you mean when you call the name but literally knowing that their name is indeed their name, is not possible for dogs. What dogs hear is simply a command. They hear their name and think “Hey, I have to pay attention!”. And they know that a new command will soon follow. This is why it is still so important to pick a name that is clear and also to practice the name well. The first command you would want to teach your puppy is his name because who needs to sit, stay or lie down? Exactly, your dog. Calling your dog’s name will also be done when you want to warn him or come back to you instead of running off. This is why it is so important to make sure the name is clear and short. A long name will be easily shortened in a hasty situation and that can be really confusing for your dog. Stick to one or two syllables and make sure you are able to call the name clearly. Practice out loud! How does it sound? Check if you are able to pronounce the name and also, does it sound fun? Whether you choose Disney character boy dog names or not, you still have to choose wisely. What is also important are the letters of the name. Some letters work better than others. Different studies have shown that names with ‘s’, which is often a hard sound, work really well with dogs. Choosing a name with an ‘s’ or a different letter that can be pronounced hard and clearly is a good decision. Combining this with a short length is even better. So for example Casey or Max are good options. They have hard sounds which will work well in a lot of situations. Disney movies, they are amazing. As you know, Disney movies contain amazing character that often reflect a strong personality. Your dog deserves something like that. You could pick a name of a Disney character that is a dog but other Disney characters are great as well. Here are a few examples of Disney character dog names male and a short story about the name. You must know the lovely Disney movie ‘Lady and the Tramp’. Tramp is a mixed breed street dog whose name is actually Butch. He is very laid back and a bit like a kid. Maybe your new dog can find himself in these characteristics and is also a mixed breed. Tramp or Butch would be a lovely Disney male dog name for your puppy! This lovely Dalmatian from 101 Dalmatians is a perfect example of a laid back, goofy but extremely loyal dog. Pongo also helps to find his owner companion and achieves great success. All in all, they are really the bestest of friends. Are you about to welcome a Dalmatian male dog into your home or do you think your new dog can connect to these characteristics? Then maybe Pongo is a perfect name! Thomas O’Malley may not be a dog but this male Disney character does have a lovely personality. Thomas O’Malley is the singing stray cat from the Aristocats. He is quite the charmer, very artistic and free, a little naughty but eventually turns out to care a lot about others. He is helpful and will do anything to make you laugh. Maybe your new dog that has red/ginger looking coat suits the name Thomas. Or maybe your new dog can really find himself in the characteristics of the bold stray cat. Either way, isn’t Thomas just a lovely name? Isn’t this one of the most lovable Disney characters? Baloo the bear from Jungle book is there to put anyone in a good mood. He sings songs, dances a little but is also lazy and just really wants to eat. Almost any dog can be described like that, right? Does you new dog seem to be a big lovely cuddly bear as well? Baloo might just be the perfect example of a lovely Disney boy name for a dog. One last tip in your quest for Disney character dog names male is to take your time. Maybe we have mentioned it already but we cannot tell you enough, take your time! He is your dog and you have to love the name. Make sure you think your decision through and eventually choose a name that you absolutely love. Also think about the fact that you still want to enjoy the name after a few years as well. Good luck!